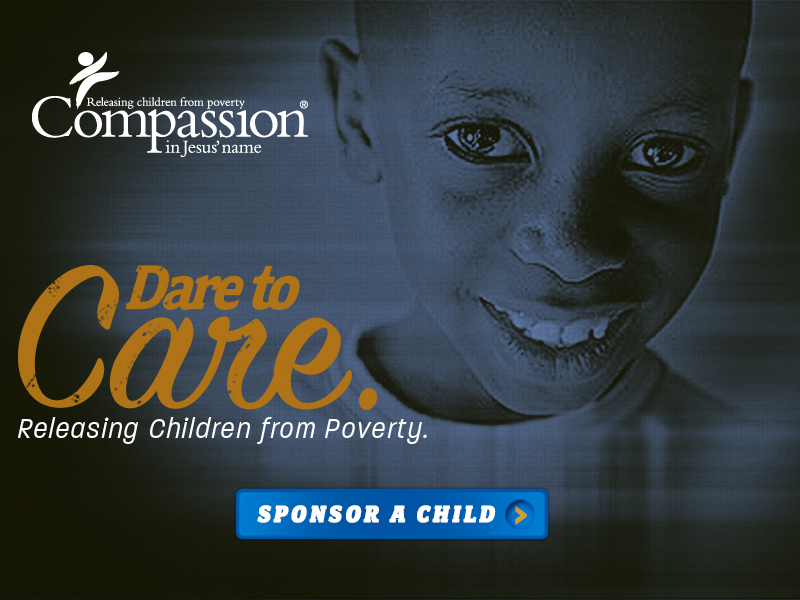 Compassion International is a child advocacy ministry that works to release children from their spiritual, economic, social and physical poverty. Compassion’s core focus is child development through sponsorship. We are deeply committed to the children and families we serve. Our work extends beyond simple involvement in their lives to long-term dedication and perseverance. Child development is a lifetime investment. It changes as a child’s needs change. It is personal, individualized and relational work that is tailored to the age, gender, health, culture and family situation of each child we serve. Independent research shows that children who participated in Compassion’s program were more likely to attend secondary school and university, were more likely to be community leaders and more likely to have salaried jobs as adults than their peers who did not.